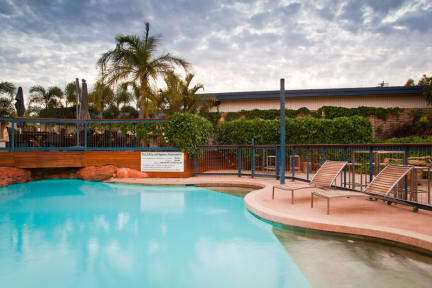 YHA Potshot Resort, Exmouth, Australia : Rezerwuj teraz! 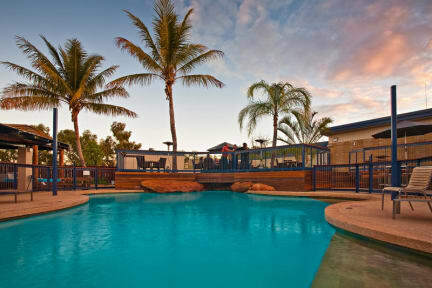 The Potshot Hotel Resort offers Exmouth's premier holiday accommodation. With tastefully appointed motel rooms, two bedroom family units and three bedroom luxury apartments which feature patio complete with outdoor setting & BBQ set amongst green lawns and tropical palms. We also cater for the budget traveler, with a range of motel and backpacker accommodation. Our complex is located only 700m from the town centre and is the perfect place from which to plan your visit to the world famous Cape Range and Ningaloo Marine Parks, charter a day's fishing in the home of the big fish, go on a whale or turtle watching expedition, or experience the ultimate adventure when you swim with the Whale Sharks.